In my recently released eBook, Millennial Sales Motivation, I share details of a 3-Step Coaching Strategy to build a motivational culture where your Millennial sales leaders are motivated 24/7. 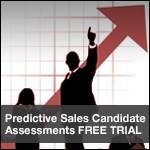 Guide your salespeople to identify what they want, personally and professionally. How can you facilitate their journey to discover what they want, as an individual, and as a salesperson? Focus on the specific dreams that align with company vision, mission, values and goals. How can you assist your salespeople to specify their long-term aspirations and align them with the company’s goals? Coach them to go after their personal goals, which now will also include going after company goals. What resources can you provide to motivate sales energy so that your salespeople progress toward their goals? Leadership Lesson: Motivated millennial salespeople require a “fire-in-the-belly” mindset. Without it, they will stall growth, instead of fueling needed personal or professional growth. Leadership Question: How can you give your emerging sales leader a clear picture of where he or she is headed and how they will get there?